INKcarceration Music and Tattoo festival make new announcements! Last week, the inaugural INKCARCERATION Music and Tattoo Festival was officially announced, presenting fans with aone-of-a-kind event experience. At INKCARCERATION, not only will attendees rock out to three days of live music from 30+ of today’s greatest rock bands, they can also be tattooed by acclaimed local and regional artists, tour one of the most famous haunted reformatories of all time, enjoy tasty treats and refreshments from 15+ food trucks onsite, browse goods from a number of vendors, experience a full rock n’ roll circus sideshow (brought to you by Hellzapoppin – learn more here), and more. Due to instant popular demand, first tier weekend tickets and VIP completely sold out within 24 hours of the festival’s announcement! Beginning today, INKCARCERATION is offering single day tickets starting at just $55, which include an entire day’s worth of activity for an affordable price. 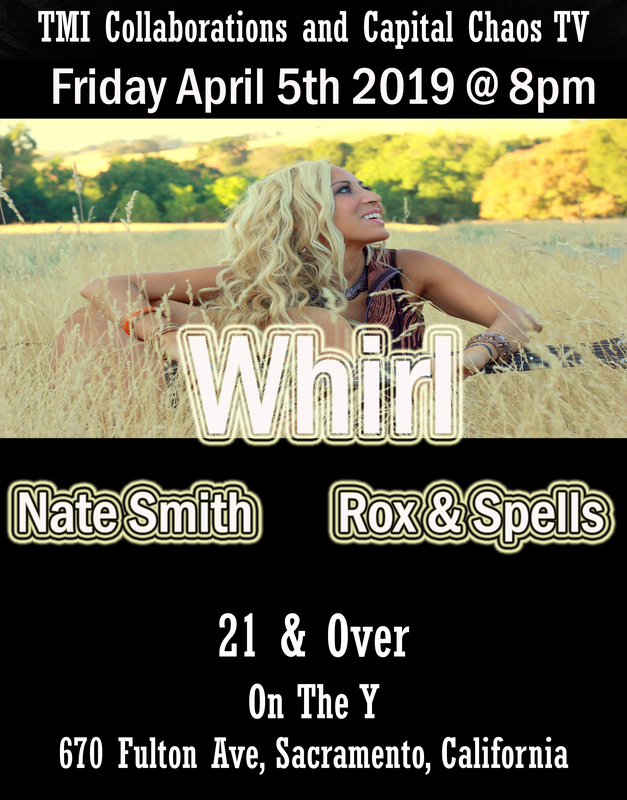 Single day ticket holders will have access to the concert portion of the event, the tattoo festival, self-guided reformatory tours, the circus sideshow, and more. Single day ticket VIP, starting at $145, is also available and will also include access to the air-conditioned VIP lounge offering lunch, dinner, and a private bar, in addition to the listed activities above. Second tier weekend tickets and VIP are still available, as well as tent and RV camping packages. Visit www.inkcarceration.com for all ticket options and more information. This just in – INKCARCERATION is thrilled to announce that two more premier artists have joined this year’s outstanding line-up – Billboard-charting heavy metal icons DevilDriver, and emerging hard rockers Dead Girls Academy. 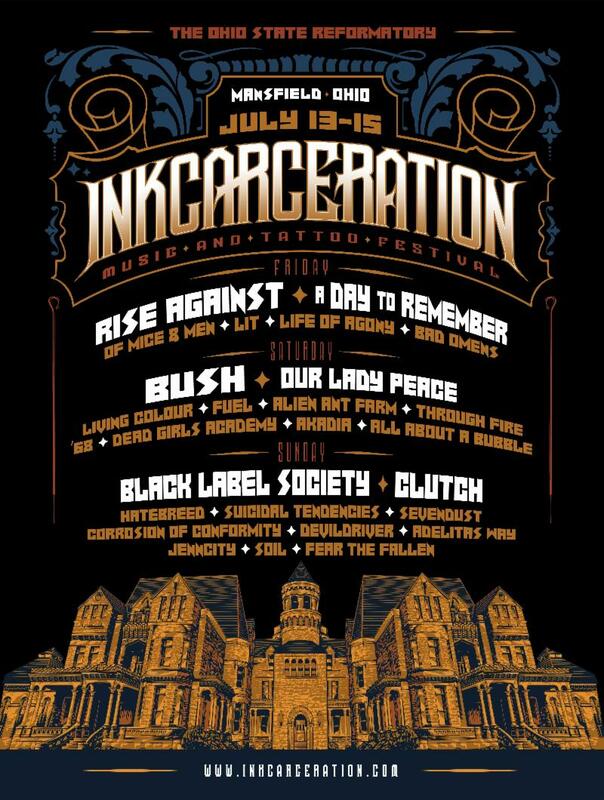 Previously announced artists set to perform at INKCARCERATION include Rise Against, A Day to Remember, Bush, Black Label Society, Clutch, Our Lady Peace, Suicidal Tendencies, Fuel, Hatebreed, Sevendust, Living Colour, Of Mice and Men, Corrosion of Conformity, Lit, Life of Agony, Alien Ant Farm, ’68, Soil, Adelitas Way, JennCity, Bad Omens, Fear The Fallen,Akadia, Through Fire, All About A Bubble and more TBD. Individual performance times and stages will be announced leading up to INKCARCERATION. INKCARCERATION is proud to be teaming up with ReverbNation to select up to five up-and-coming bands to perform throughout the event! Bands interested in performing at INKCARCERATION can enter their submission for FREE today here, but hurry – submissions close on April 16 and artists chosen to perform will be announced on May 1. ReverbNation is an American online platform that is home to over 3.8 million musicians, fans venues and labels in more than 190 countries worldwide. It helps artists grow lasting careers by introducing them to music industry partners, exposing them to fans, and building innovative tools to promote their success. INKCARCERATION Music and Tattoo Festival will take place July 13-15 in Mansfield, Ohio at the eerie, enormous Historic Ohio State Reformatory (100 Reformatory Rd.). This massive, awe-inspiring locale is recognized primarily as not only one of the most haunted buildings in the country, but also as the filming location for the 1994 cinematic classic, The Shawshank Redemption, starring Hollywood legends Morgan Freeman and Tim Robbins.During INKCARCERATION, attendees can take part in self-guided reformatory tours, exploring the prison independently at their own pace while learning about the history of the facility and the many unique Hollywood and paranormal connections. More information on the tattoo festival portion of INKCARCERATION – which will include over 70 booths featuring local and regional tattoo artists – will be announced soon.Interested in tattooing at INKCARCERATION? Applications are still open. Emailcontact@inkcarceration.com for more information and details, and please provide your name, company name, website and phone number in the email. Stay tuned for more information coming soon regarding INKCARCERATION activities. Additional ticket and camping information, parking details, event hours, and other important FAQ’s can be found at www.inkcarceration.com. Author capitalchaostvPosted on March 9, 2018 Categories Festivals, NewsTags INKCARCERATIONLeave a comment on INKcarceration Music and Tattoo festival make new announcements!